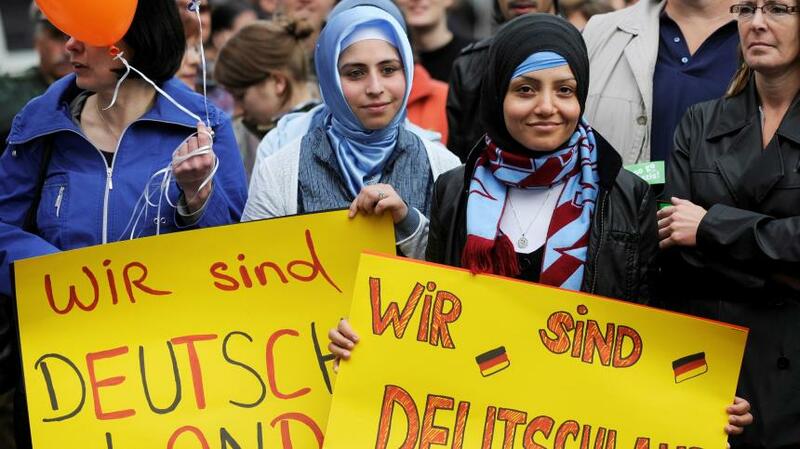 Facing huge discrimination and inequalities in Germany in every aspect of their lives, Turkish diaspora turns to Turkish politics as a way to find solutions to their problems says Mustafa Yeneroglu, an AK Party deputy who was also raised in Germany. Turkey to hold landmark presidential and parliamentary elections on June 24th. The number of candidacy nominations of the Turkish diaspora in Europe in all political parties have gone up dramatically. Mustafa Yeneroglu who is also the head of Overseas Electoral Coordination Center said there are many reasons for Turkish diaspora to show great interest in politics in Turkey rather than in countries where they have been living for generations. “Inequalities in politics, xenophobia and Islamophobia are the main reasons that drive Turks overseas into Turkish politics. Turks in Europe face many problems in their daily lives and European politics offer no chance to solve their problem. So Turkish diaspora considers political parties in Turkey as a way to solve their problem,” adds the 43 years old Turkish-German who once used the head one of the biggest Islamic NGO’s in Germany. During the referendum in Turkey last year, European countries, mainly Germany and The Netherlands, prevented Turkish government officials from holding elections rallies. There are 3 million Turkish voters abroad in total and almost half of them live in the western Europe. Also the number of diaspora voters constitutes 6 percent of the total votes in Turkey so it is vital for Turkish political parties to reach their constituencies in Europe. However, Mustafa Yeneroglu says the election rally ban of Europe only applies to the governing Ak Party and calls on Europe to be impartial about the elections in Turkey. “I have seen many members of opposition parties attending big election propaganda gatherings in European countries and that is clearly taking sides,” said Yeneroglu. The Ak Party deputy also reiterated that anti-democratic bans of Europe wont be able to prevent his party from reaching out to Turkish voters through out Europe. “There are more than 10 thousand people that we organized for this elections but also there are another 10 thousand whom are self-organized out of concern about the future of Turkey working out on the field,” said the Ak Party deputy. Mustafa Yeneroglu also said that he expects at least 5 people to earn candidate status in Ak Party from diaspora but points out that those who are chosen from diaspora should be more concerned about the problems of Turks abroad and should use the platform of politics in Turkey to find solutions to their problems. Registration for voting overseas ends on May 12th abroad and voting will take place between 7-19 June. If the presidential elections go to the second round, the voting abroad will take place between June 30th and July 4th.